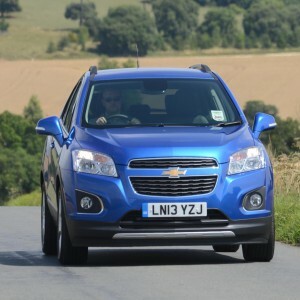 Chevrolet’s all-new Trax is on sale now, priced from £15,495. The car – available in a choice of two trims, three engines and front or all-wheel-drive – ‘offers fun, technology and practicality at any extremely competitive price’. Kicking off the range, the 115PS 1.6 LS comes with standard kit including Stop/Start technology, air conditioning, cruise control, automatic headlamps, privacy glass, roof rails, reverse parking sensors, multi-function steering wheel and Bluetooth. The front-wheel-drive LS costs £15,495 and is available with the 1.6litre petrol engine option only. Moving up the range, the LT is available with a range of engine and transmission options, priced from £17,495. In addition to the LS standard specification, it gets MyLink Connected Radio with 7inch colour touchscreen, Siri speech recognition, an electro-chromatic self-dipping rear view mirror, a leather-trimmed steering wheel and rear parking camera. Three engine options are available on the LT: a 115PS 1.6 petrol; a 140PS 1.4 turbo petrol; and a 130PS 1.7litre VCDi diesel, in automatic or manual. Both the 1.4 Turbo and 1.7 VCDi models are available with all-wheel-drive.